Time to study another French sweet! 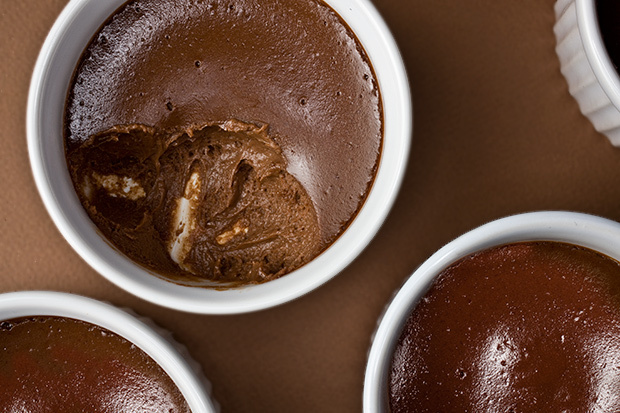 Pot de crème is a loose French dessert custard dating to the 17th century. The name means “pot of custard” or “pot of creme”, which also refers to the porcelain cups in which the dessert is served. It is usually looser than other custards, flans, or crème caramel. Pot de crème is made with eggs, egg yolks, cream, milk, and a flavor, often vanilla or chocolate. The milk and cream are heated and flavored, then mixed into the whisked eggs and egg yolks. 1940 The London production of ‘Apple Sauce’ opened at the Holborn Empire Theatre. 1944 Tim Bogert of the Rock group Vanilla Fudge was born. 1949 Jeff Cook of the music group ‘Alabama’ was born.